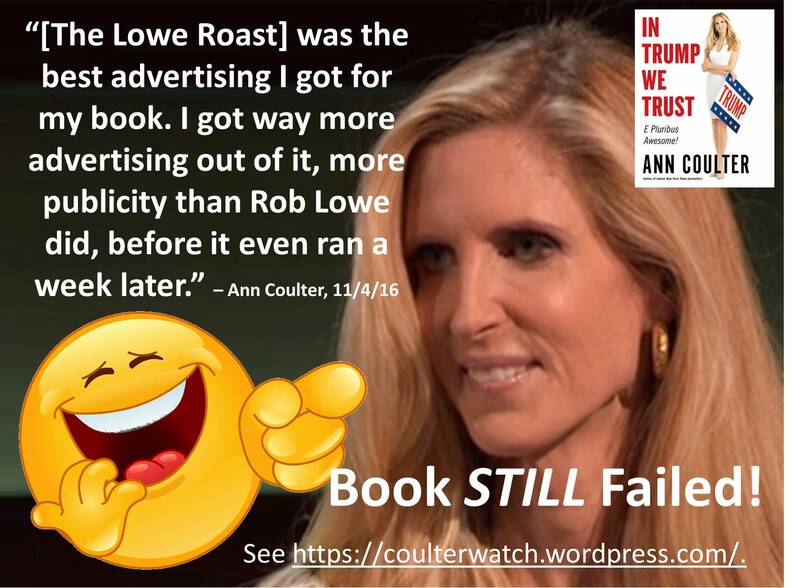 As reported earlier, in a stupendous election year with a magnificent candidate in Trump and massive #TrumpTrain fans, Coulter’s awesome book worshiping Trump failed to become a bestseller! Ann, you really do have to work on your self-promotion. 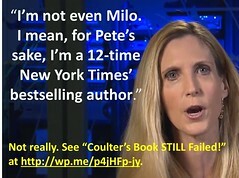 If the Coulter/Lowe Roast was your best publicity and you still failed miserably, then something is seriously wrong! I’m saying In Trump We Trust was not on the New York Times bestseller list for the simple reason that In Trump We Trust was not on the New York Times bestseller list. 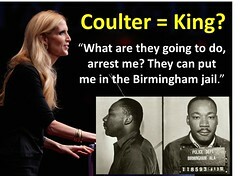 Coulter claims otherwise. Coulter is lying. That’s what she does.